While filming Season 2 of The Real Housewives of Potomac, the producers asked each wife “Who would you want to dip in the lady pond with?” New ‘wife Monique Samuels says Eddie Murphy’s ex-wife Nicole Murphy. “She is gorgeous. She slays every time,” says Monique, mother of two, who’s impressed that you can’t tell Murphy had any babies. Gizelle Bryant names Khaleesi, the character from Game of Thrones. Ashley Darby admits that she’s “taken quite a few dips in the lady pond in the past” but right now she’s crushing on Michelle Rodriquez (Girlfight). Robyn Dixon says Beyonce and JLo. 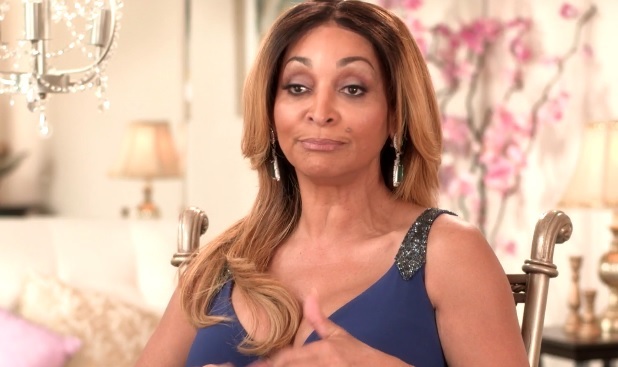 Queen Bee Karen Huger is the only one who says, “The lady pond is not for me.” She reinforces the fact by saying, “Ain’t doin’ it. Don’t want it. But I don’t knock people who love it. I’m down with that. Be happy. Life is short. If that makes you happy, girl, go and do it.” The Real Housewives of Potomac airs Sundays at 9pm on Bravo. 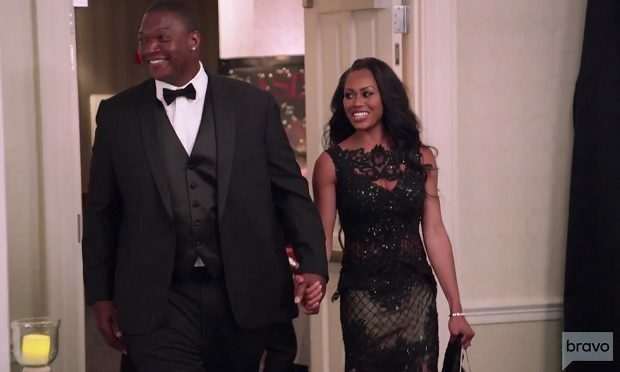 Who Is Monique’s Husband Chris Samuels on Real Housewives of Potomac?